These days no company worth its salt can afford to ignore the pivotal role played by the iconic social networking site Facebook in promoting a business or product. 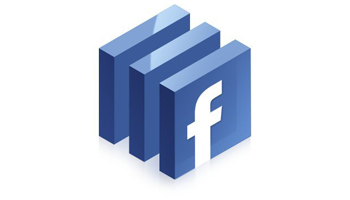 Facebook offers many customized applications that businesses can leverage to serve their ends. This app helps to pull RSS feeds from the blogs hosted on Facebook and is completely owned by the social networking giant. The central aim is to pull feeds from the content sources situated on Facebook pages and display it to bloggers who have composed them. This killer app has been designed by Facebook and initially started out 5 years back as a forum for posting classified advertisements letting people sell and buy furniture in a secure environment. Last year the app was completely remodeled with enhanced functionality and now boasts of a subscription base of 1.5 million. This third party application developed by Wildfire Interactive creates Fan Pages Contests. It helps businesses to easily conceive and launch branded competitions in a very short span of time which can be in the form of photo, video, logo and design contests. Companies that wish to link their Twitter pages with Facebook will benefit massively from this application which automatically updates all tweets from their Twitter account and simultaneously updates the Facebook status. It also embeds the twitter logo in the Facebook profile which lets netizens know that the business also has a Twitter presence. The twin advantages this app brings to the table are increased positive appeal among customers and lot less time spent in updating accounts. This Facebook developed application can append a new box to any business page which lets them upload media like flash videos, games and widgets on their profiles. The box can also be easily renamed to standardize the appearance of any page running Flash Player. The presence of well-made videos in a business page can significantly improve its prospects. This app rocks in the way it lets a business customize any kind of content to its needs Extended Info uses HTML to modify content and even create new fields of standard information categories. It’s workings are very similar to Static FBML but is much simpler. This application helps to embed videos and music files from sites like Google Videos and YouTube. Posted Items Pro can transform any plain business page into a complete multimedia package in an instant resulting in increased user interest. Facebook on its own doesn’t allow any modification of HTML content. This can be easily achieved with the aid of FBML which can improve the aesthetic appeal of a business page by adding interactive content and click-able images making it much more attractive to users. This application was conceived by Pagemodo and lets businesses enhance their brand image by creating a much more user friendly and visually appealing “Welcome” page tab. About 6.6 million users worldwide have subscribed to this app. Business need to judge very carefully which application best serves their needs and not clutter their business page with too many of them. If implemented in good manner Facebook apps can add a lot of value to a business page. About The Author: Alyssa is a writer/blogger. She loves writing, travelling and content marketing. These days she is busy to write an article on content marketing. Recently she did an article on viral marketing.